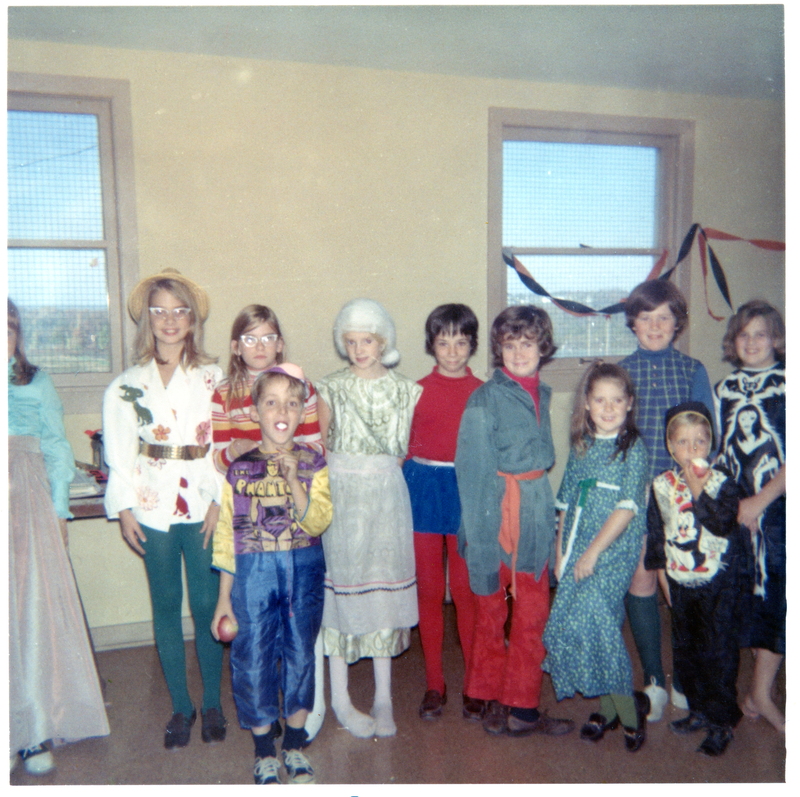 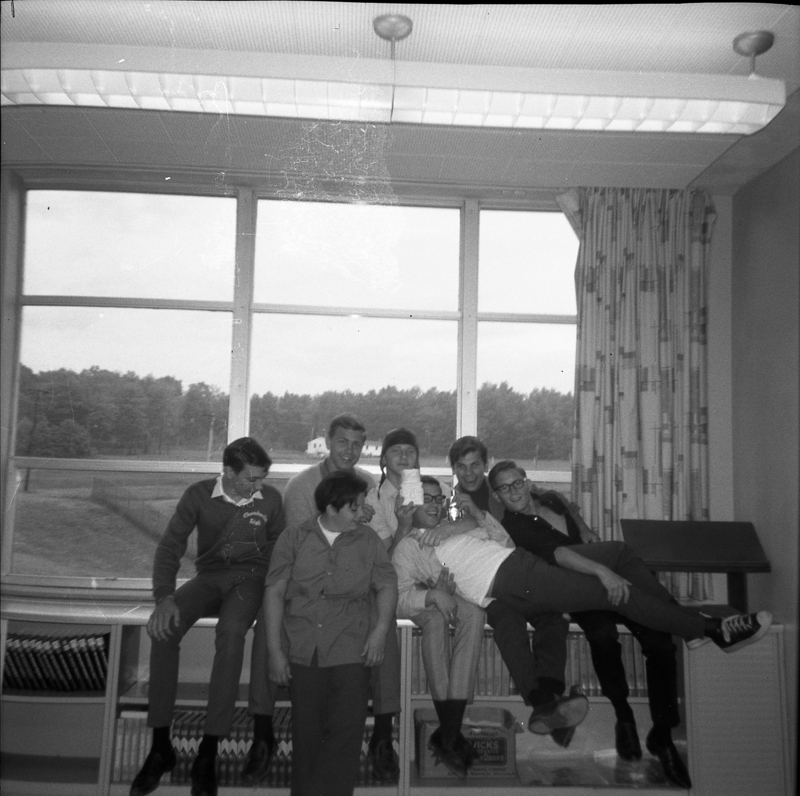 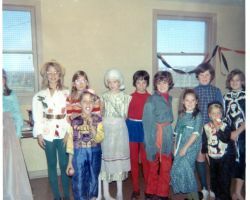 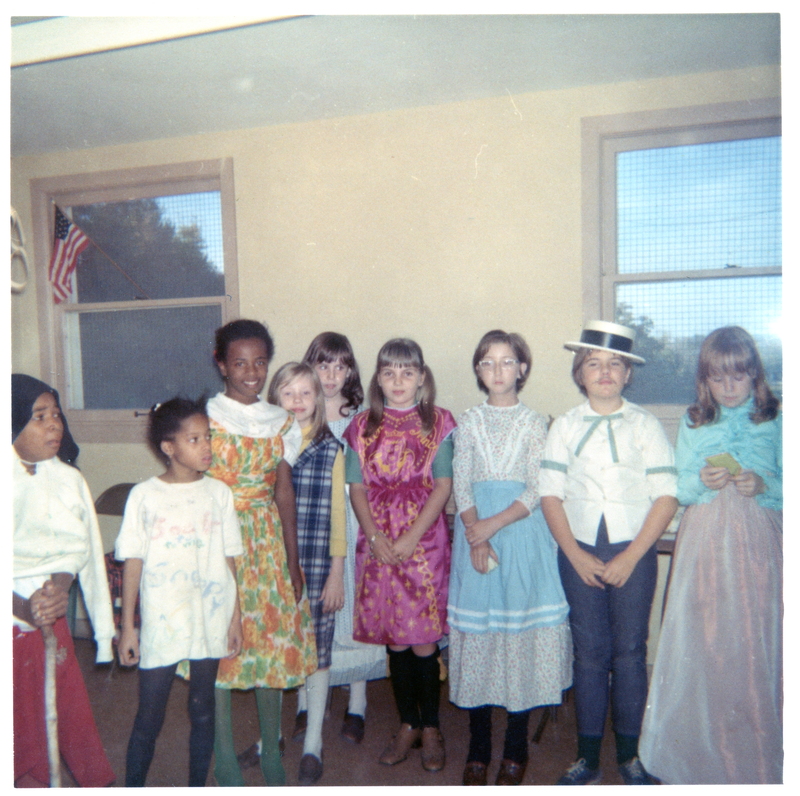 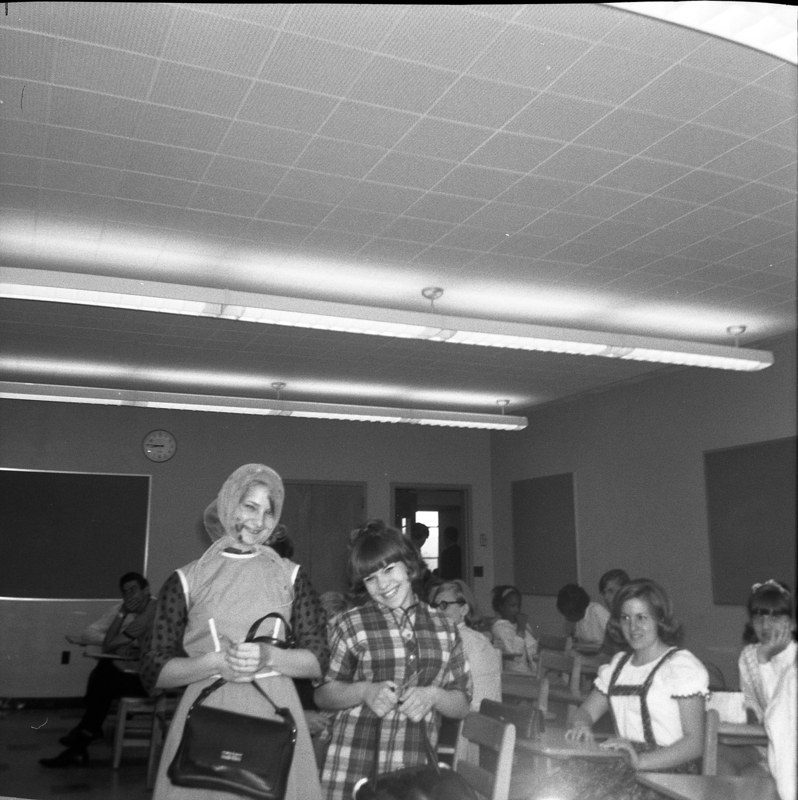 Chris Novak, Nona Sadusky, Mary Peak, Jessica Mosely, Rita Scott, Kathy Seavert and others during Home Room in 1969. 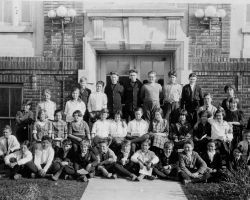 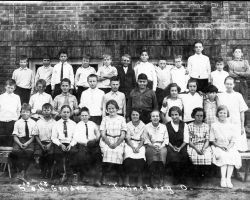 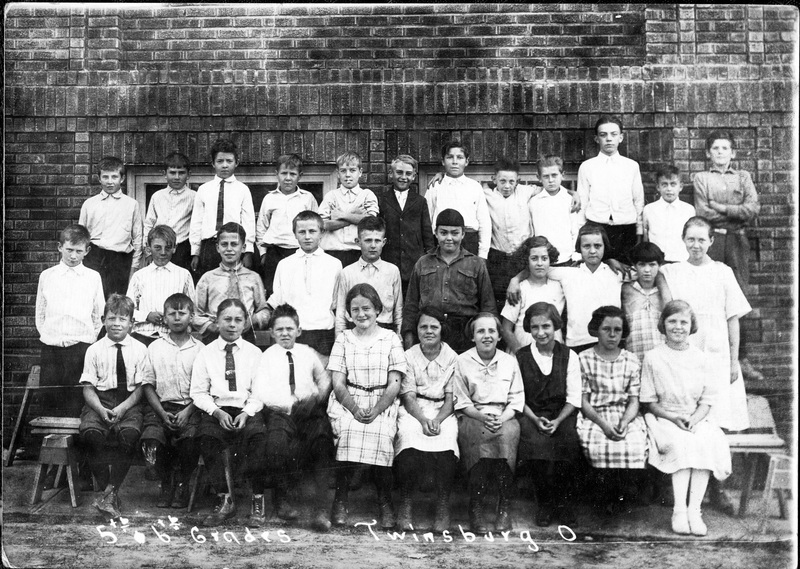 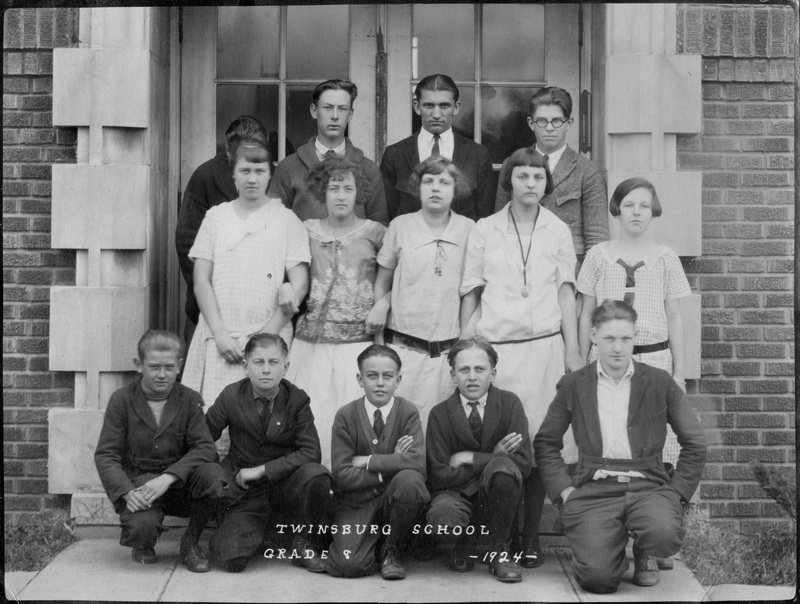 Class Photo of Twinsburg's 5th and 6th Grade Students from 1922. 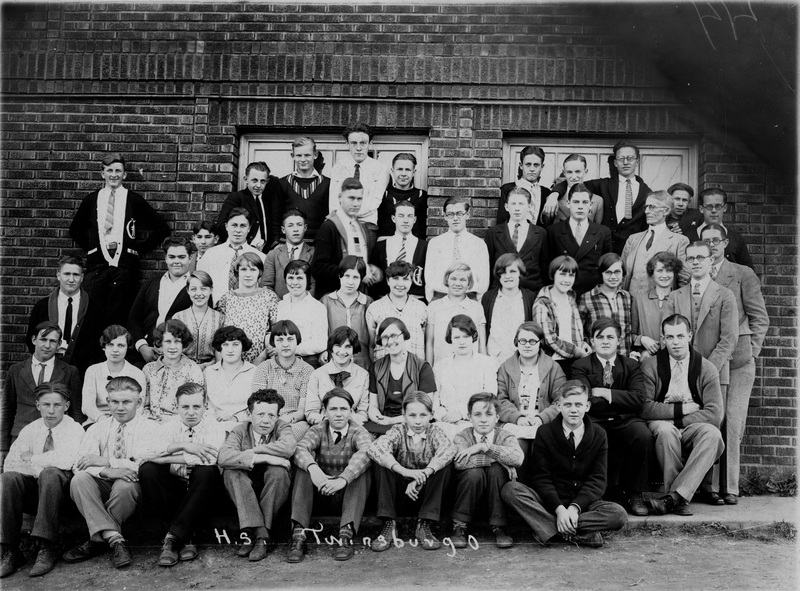 The entire High School from the 1927-1928 school year. 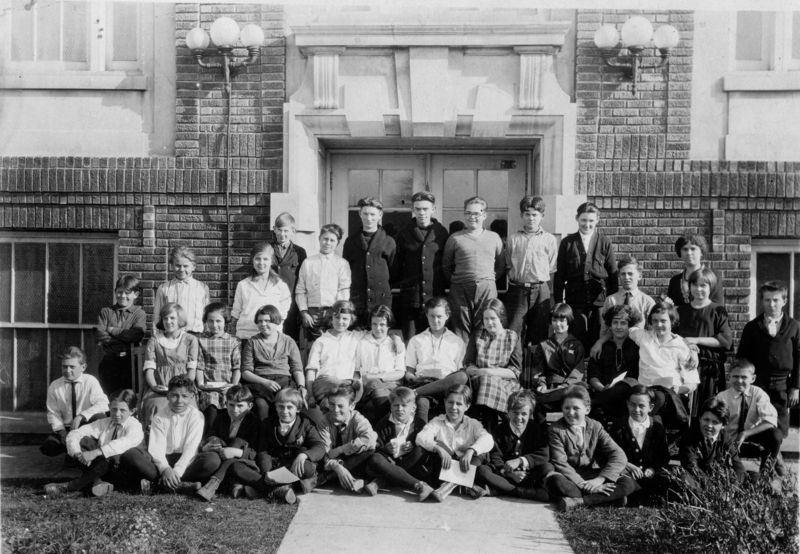 Not really comparable in size to the current Junior class. 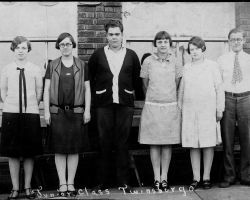 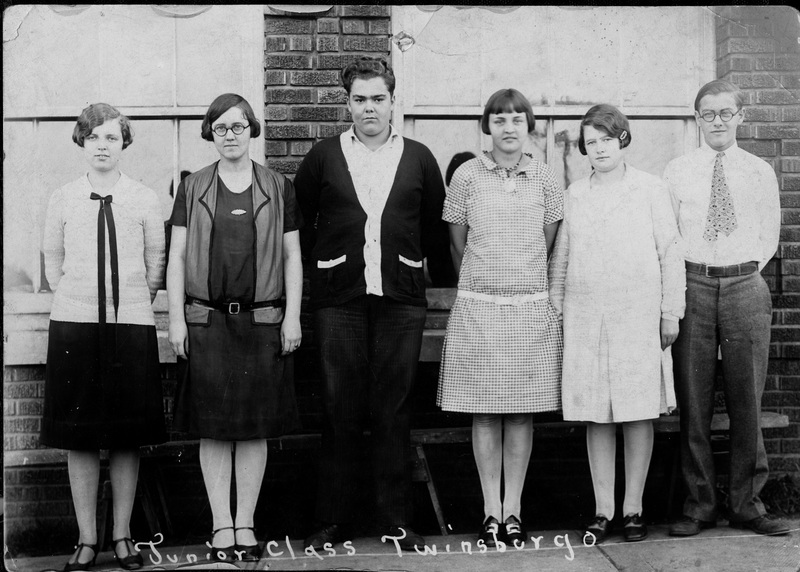 The four grades attending Twinsburg High School during 1928-1929. 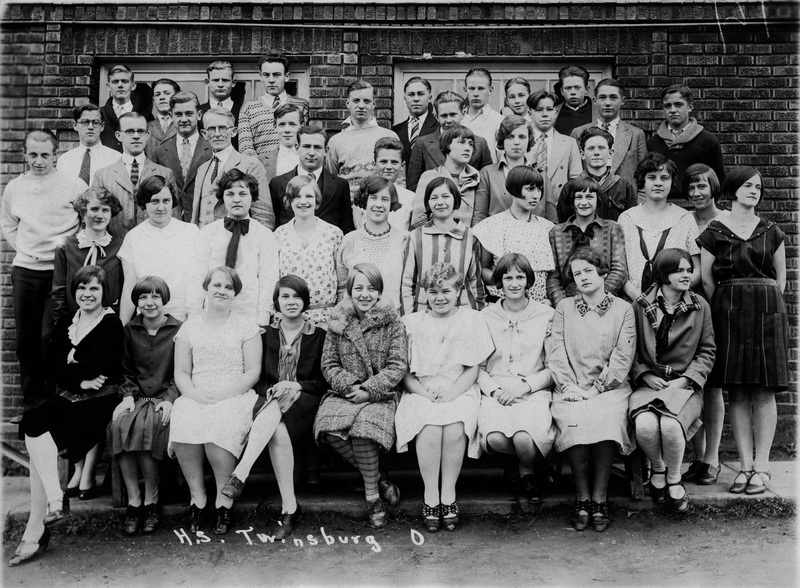 Thirty-Second Annual Commencement of the Twinsburg High School. 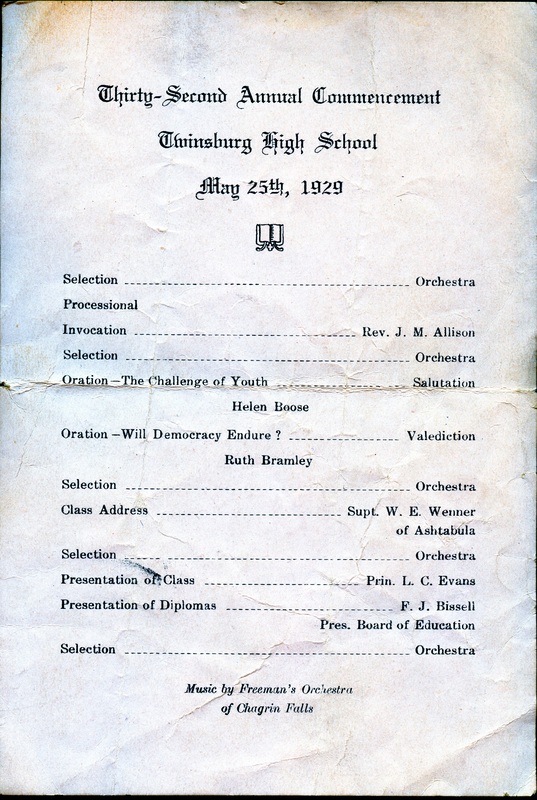 Held May 25th, 1929. 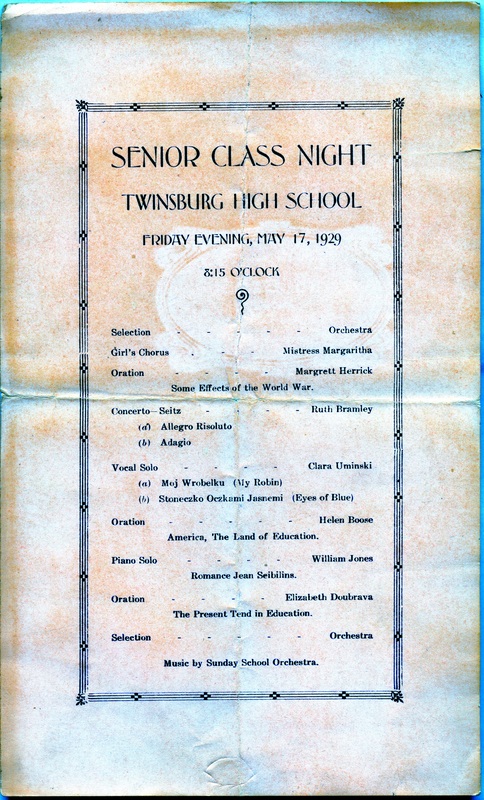 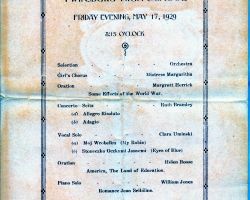 Program for the May 17, 1929 Senior Class Night for Twinsburg High School. 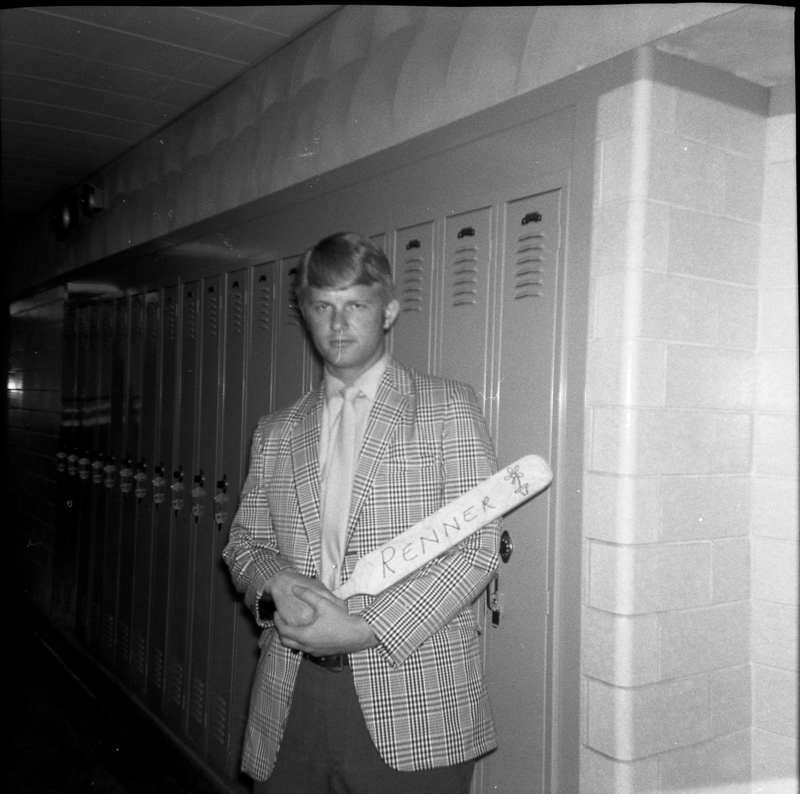 This teach from 1969 seems quite proud of his paddle. 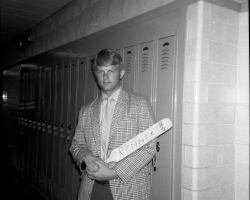 Courtesy of Leroy B. Reeves. 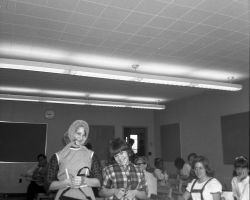 A Day at School in 1969. 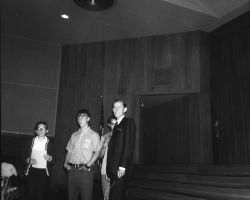 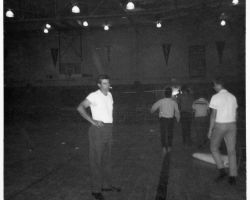 From 1969, the boys are Mark Hiles, Lon Ditterbrand and Roy Capper. Mr. Jerry Zimmerman is also pictured. 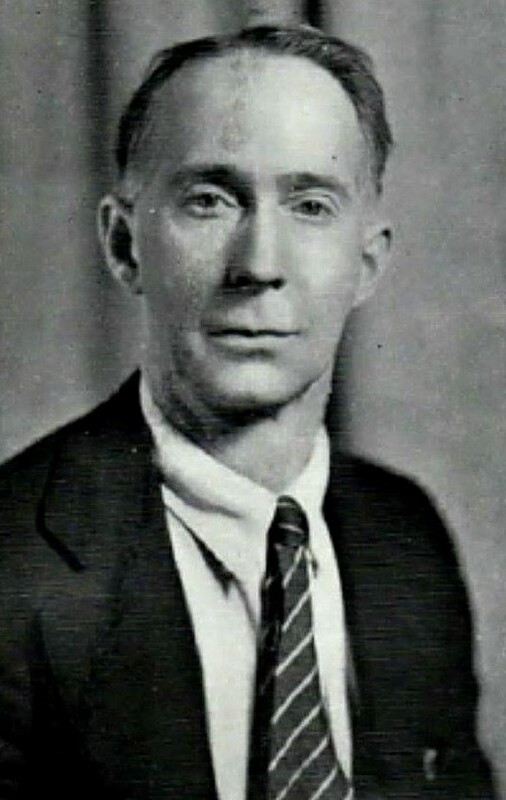 One of R.B. 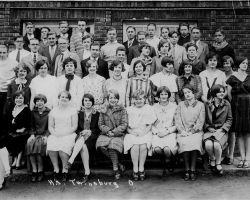 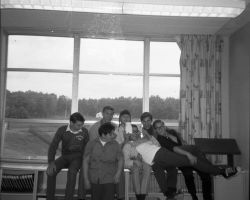 Chamberlin's staff from 1969. 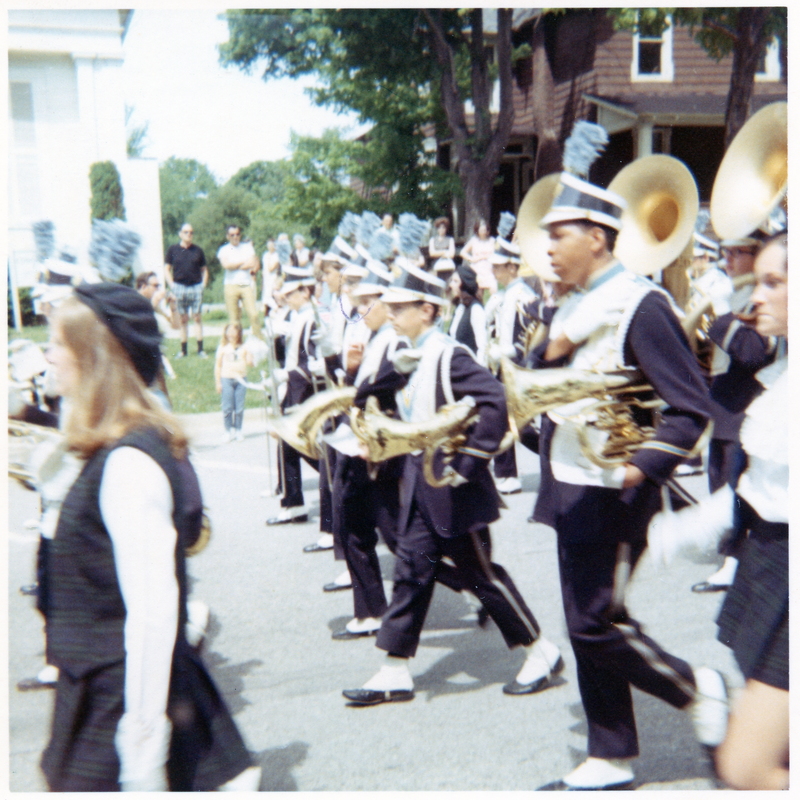 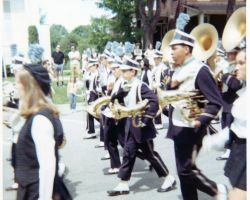 One of Twinsburg's school band marching during a 1974 Memorial Day Parade. 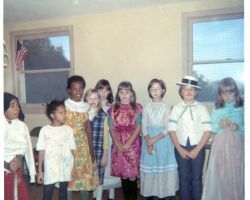 The Congregational Church can be seen in the background. 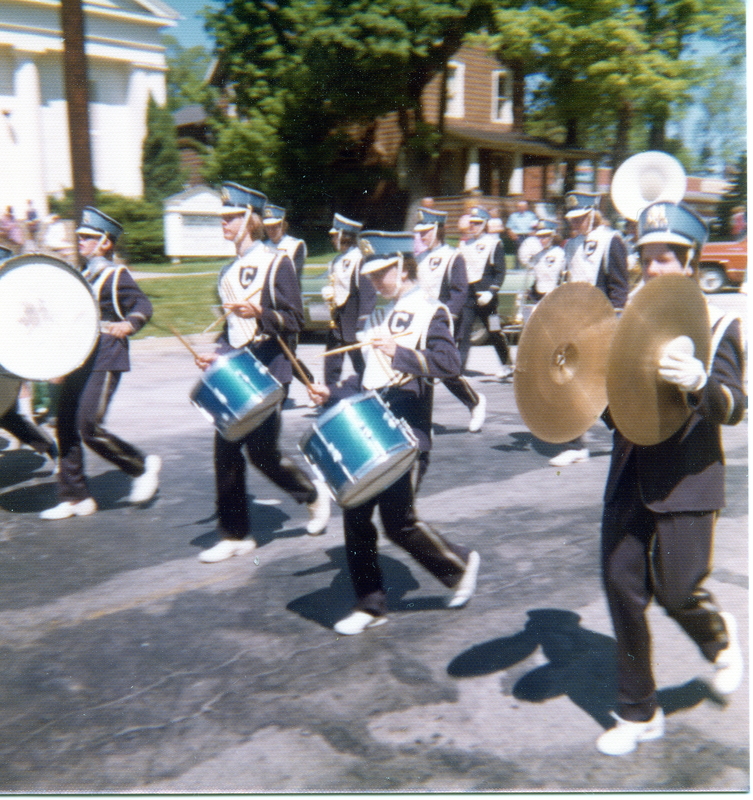 The Twinsburg Marching Band passing the square in 1969. 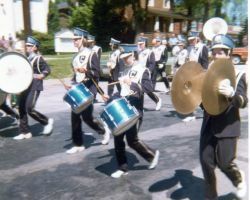 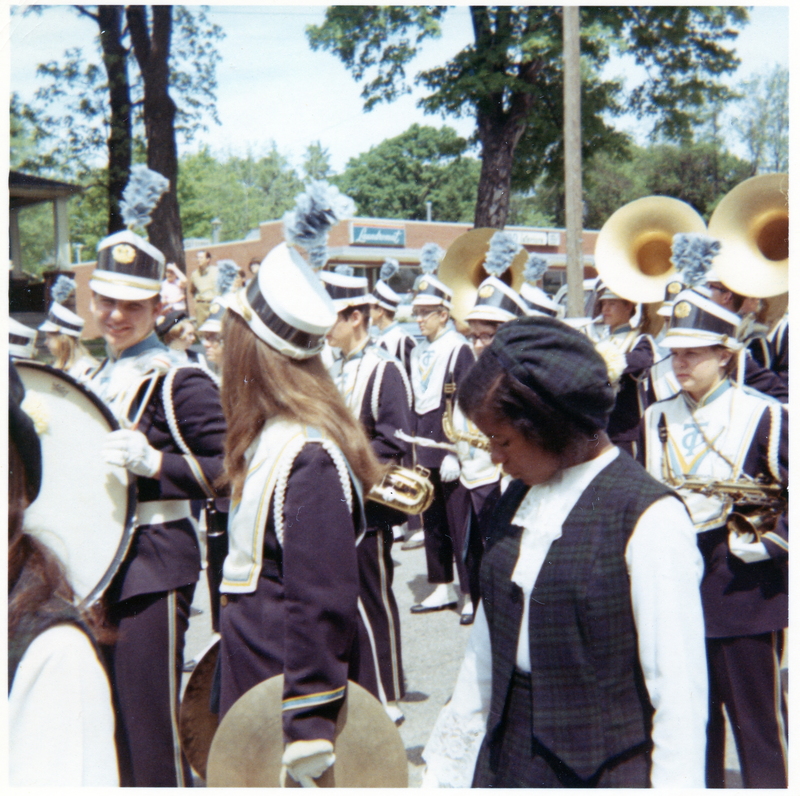 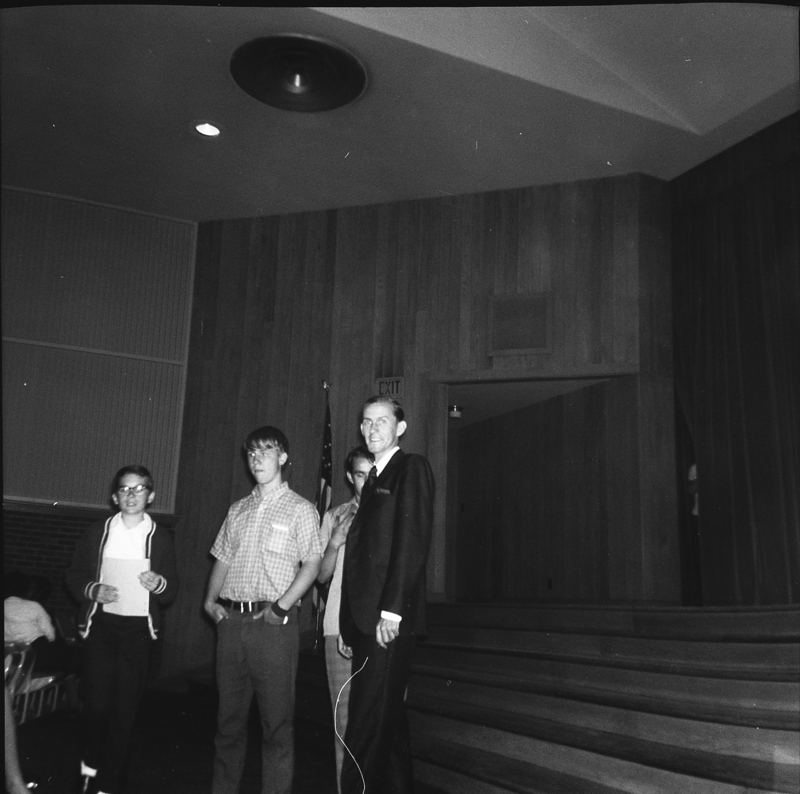 Twinsburg's Marching Band in 1969. 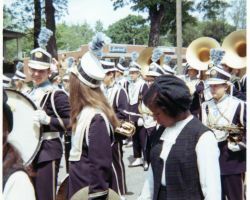 The marching band takes a rest from marching at the square, you can see some of the business' of the time in the background. 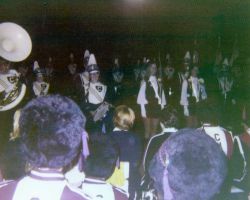 The marching band has always been an important part of school sports. 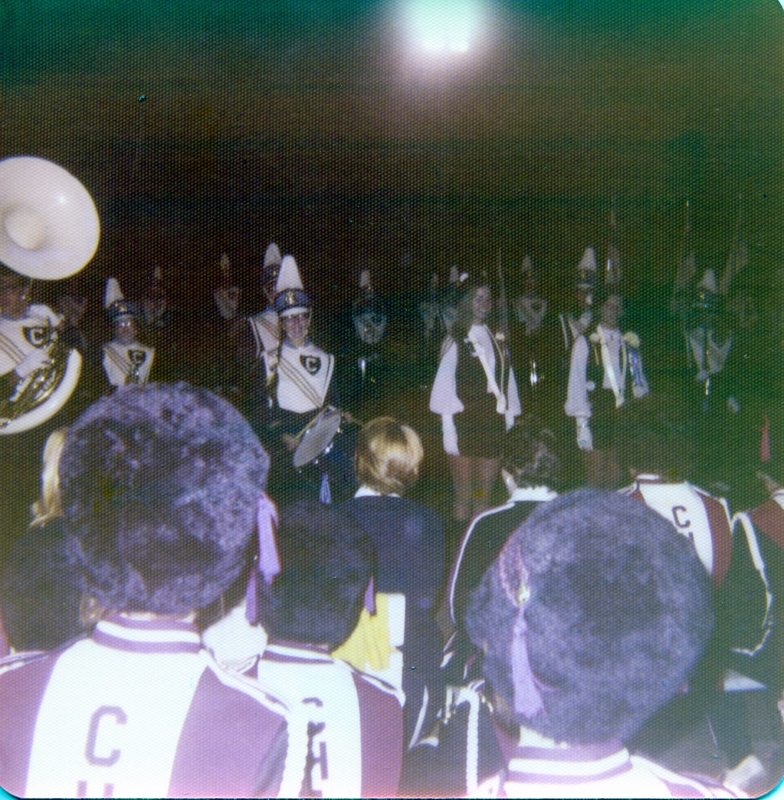 Twnsburg's looks ready to perform during 1975's homecoming game. 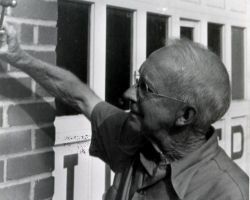 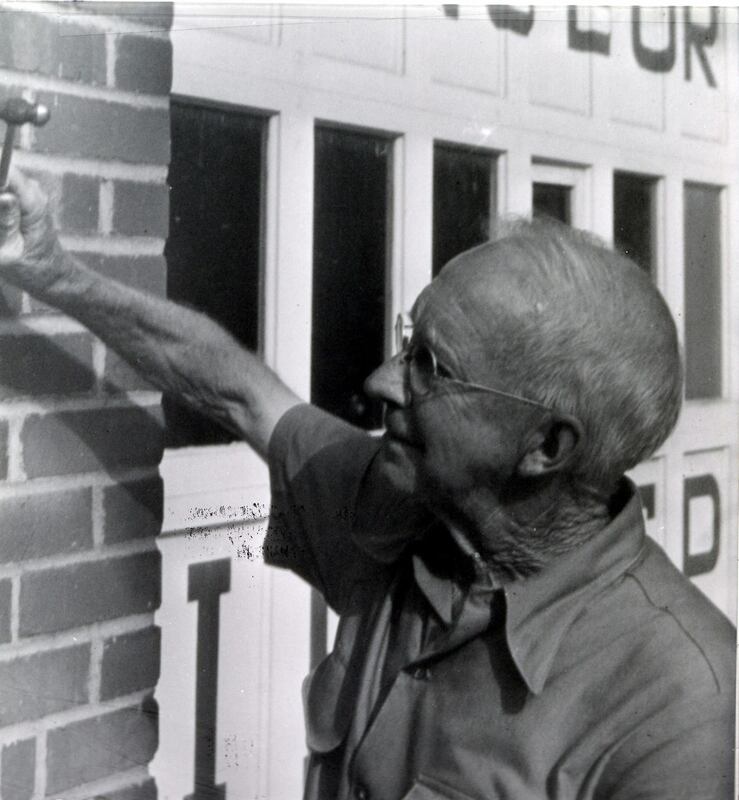 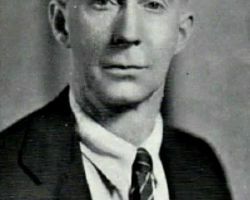 Known as "Pops" or "Shorty" by students, George Dodge served as the long time school custodian, and as a member of the school board. 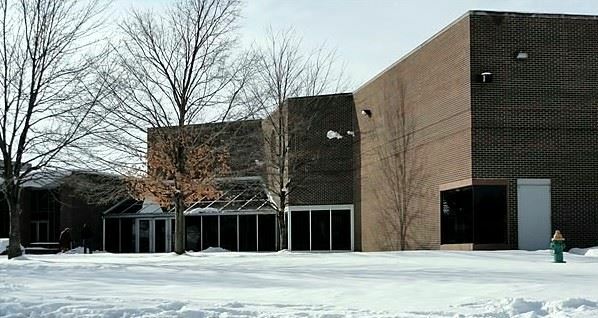 Courtesy of The Historical Society's Facebook Page. 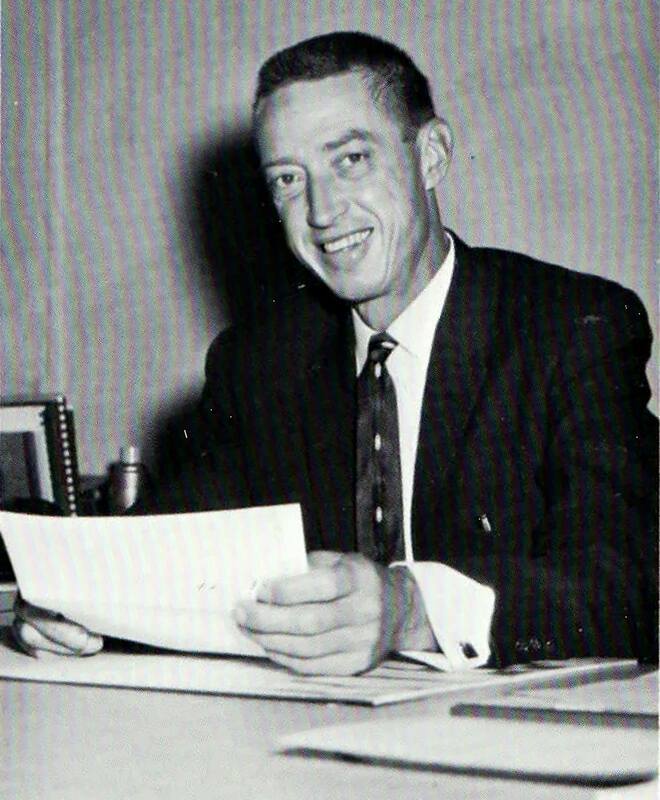 Longtime superintendent of the Twinsburg School System. 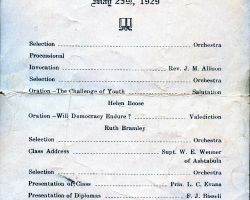 Courtesy of The Historical Society Facebook page. 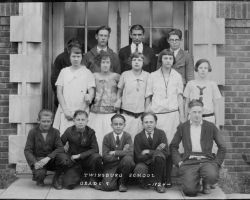 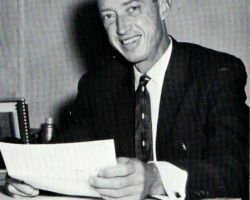 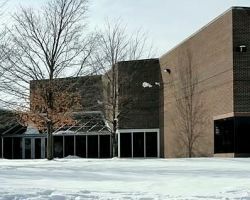 Opened in 1970, there were suggestions of to naming it after Martin Luther King, Ethan Ailing, William Mercer, Twinsburg's first mayor Alexander Day and a number of former teachers before deciding on honoring George. 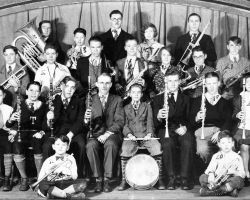 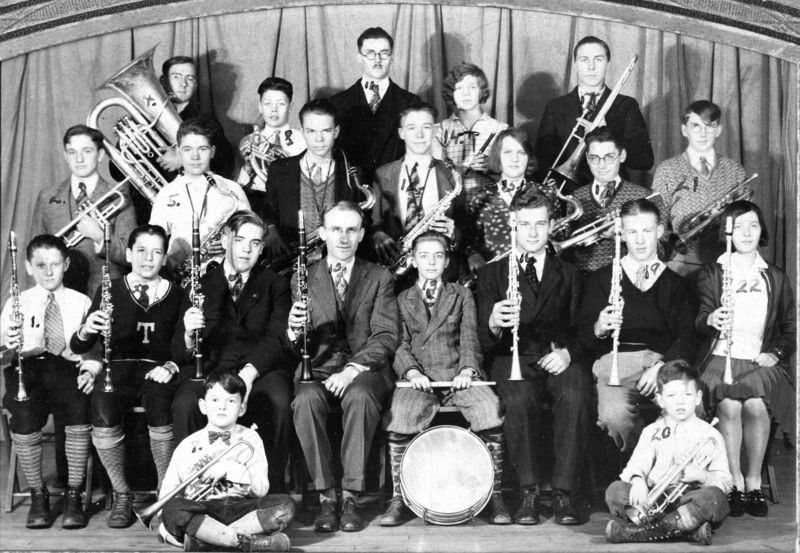 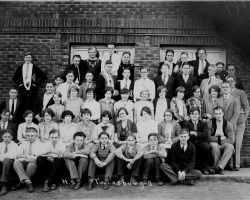 The Twinsburg School Band from 1930.